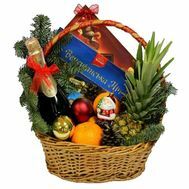 New Year gift baskets are the most stylish, festive and original gift for a cold, winter and such an important day. 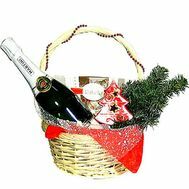 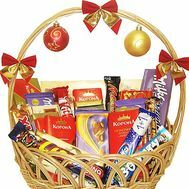 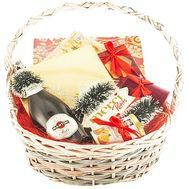 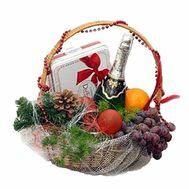 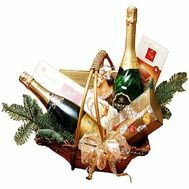 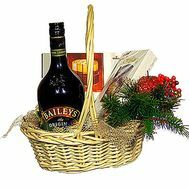 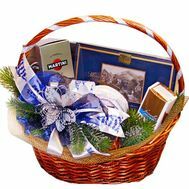 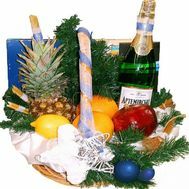 A New Year's gift basket is a combination of all the best and most pleasant in this holiday. 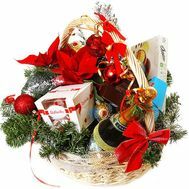 It conveys a festive mood better than any other gift. 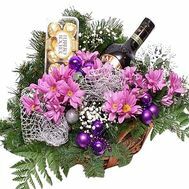 The magnificent, bright, beautiful New Year's basket is made out by the best masters of the business, and therefore gives bright and unforgettable emotions to its recipients. 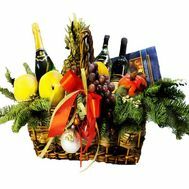 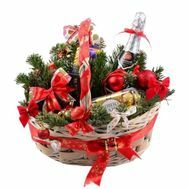 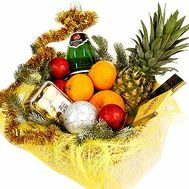 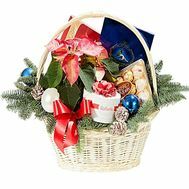 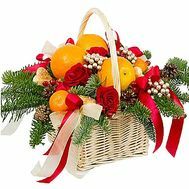 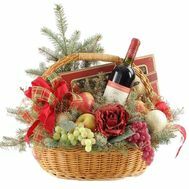 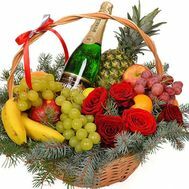 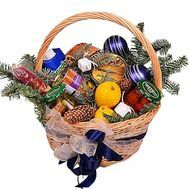 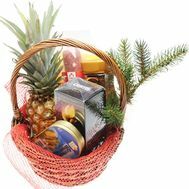 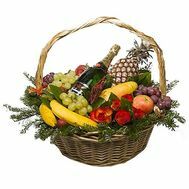 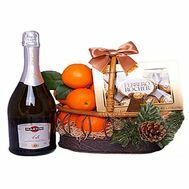 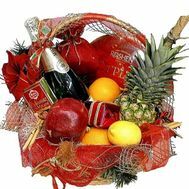 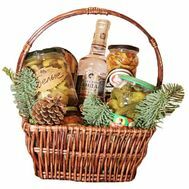 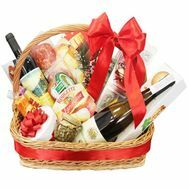 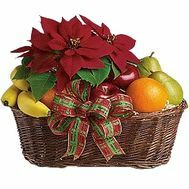 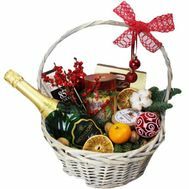 New Year's gift basket with fruits: will give a festive mood, because it contains juicy fruits that will make the cold, winter day brighter and sweeter! 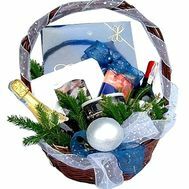 A gift basket for the New Year will be useful to you both as a basic and an additional gift. 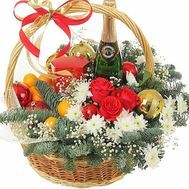 In addition, with the help of such a presentation, you can feel like Santa Claus, who brings surprises and festive mood to the house. 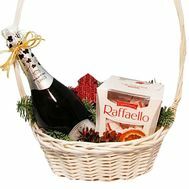 Basket for the New Year can be completely different: its content and design can change. 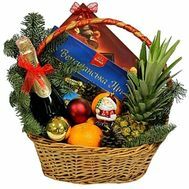 Inside it, there will always be delicacies that will prolong the joy and fun for several weeks. 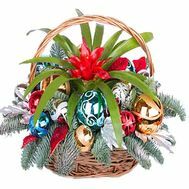 All of them are festively decorated: spruce branches decorated with branches, rain or Christmas balls. 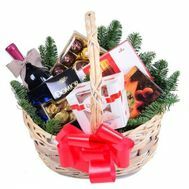 Cones and toys, which only strengthen the atmosphere of the holiday, you can later hang on a Christmas tree, as a reminder of a delicious gift. 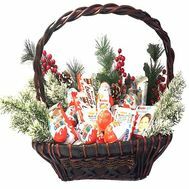 The aroma of spruce, coming from the basket, will only awaken the festive appetite! 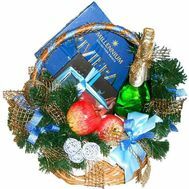 Our store has more than 10 years of experience in the field of services in the Ukrainian market. 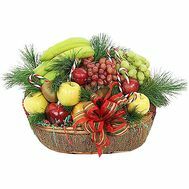 We provide a 100% quality guarantee for all of our products, especially for food and fruit. 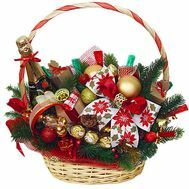 Professional florists will gather a basket with soul and care, decorating it in a festive style. 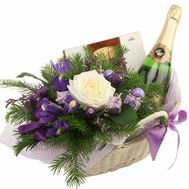 And our flower delivery service will bring it in a few hours to the specified address. 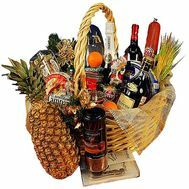 Our customers are the luckiest customers who have already tried our promotions and pleasant discounts. 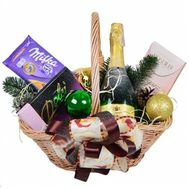 And you can become one of them by placing a gift order with delivery where you need from our couriers.